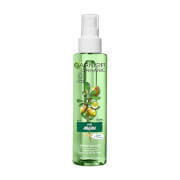 The Garnier Ambre Solaire Sensitive Hydrating Face Sun Cream Mist SPF 50 is an ultra-lightweight, high-performance formula to protect skin from external aggressors. 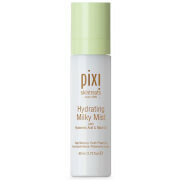 Especially developed for fair, sensitive and sun-intolerant skin types, it offers a daily shield against harmful UV rays and free radical damage with a broad filtering system and antioxidant complex containing Baïcaline™ and Vitamin E.
Instantly transparent upon application, the non-greasy sunscreen spray can be applied over makeup and provides up to 24 hour hydration for skin that feels fresh and soft. Shake well before use. Close your eyes and pinch your lips together during the application. Spray evenly on the whole face at a minimum distance of 15cm. Do not intentionally inhale. In case of contact with lips, wipe off the excess product. In case of eyes discomfort, rinse them immediately and thoroughly with water.